Eyelash extensions can help you look your best all the time, especially if you need to look your best at a special event. Take one look at the pictures, and you’ll probably be hooked for life! Unfortunately, eyelash extensions have many drawbacks accompanying their stunning appearance. This list details the 12 things everyone should know before getting eyelash extensions. Correct eyelash extensions are glued to the tips of your natural lashes one at a time by a trained technician, a considerably more laborious process than short strips or individual lash extensions. Eyelash extensions also include regular maintenance, averaging 4-6 weeks before they naturally fall off. Eyelash extensions are incredibly versatile, allowing you to choose your length, material, density, and curl. It’s a lot to take in for a novice, so here are some general guidelines. First, the length you choose is entirely dependent on the aesthetic you’re searching for. Common material options include mink, silk, or a synthetic material. Mink tends to be the most pricey and realistic-looking, but some premium synthetics match mink on both counts. Density, or the number of lashes added to your face, produces a fuller look the more you add. However, you will be charged per lash, so maximum density gets expensive quickly. Curl is just another way of saying how steep the slope of your new lashes is. The steeper, the more dramatic of an effect they produce. If this still feels overwhelming, any trained eyelash technician should be able to walk you through all of your options. It might be best to talk to a pro, as every salon offers different options and price points. This may seem obvious, but longer eyelash extensions require more individual lashes to be purchased. They may appear to spread out from your eyelid if they’re too long, making them look spidery–likely not the look you want. Make sure to select a length available for a price you can afford. The glue used to attach artificial eyelash extensions to your face needs time to dry, so most experts advise waiting at least 12 hours before sweating, crying, swimming, or washing your face. If the glue fails to dry as intended, it can dissolve into your eyes or evaporate in response to your body temperature. Not only is the resulting look unappealing, but it can also cause eye redness and even permanent damage. You want to avoid these adverse reactions at all costs. Eyelash extensions are a plausible alternative to makeups such as mascara, but you won’t be saving any money in the exchange. A basic set of eyelashes (70-80 lashes per eye) runs $100 new, with up to $400 possible for the best technicians. Tips are separate, and you also need to invest two hours in the application process. Furthermore, you need to revisit your technician every few weeks to replace the ones that have fallen out since your last visit. This costs between $50-$165, depending on how many new lashes you require. Putting off these maintenance visits can be very expensive, and most technicians will eventually insist on starting from scratch and charge you for a whole new set. As noted above, eyelash extensions replace mascara in your routine. In fact, applying mascara can damage your lashes! The base of most artificial lashes also includes the illusion of eyeliner, so you don’t need to use that either! Looking good without makeup offers many advantages, with the most notable being the ability to wake up and head to the gym already looking selfie-ready! If you want to use eyeliner to compliment your lashes for a special occasion, you’re in for a rough time. Artificial lashes commonly produce an angle that prevents you from seeing what you are doing, making the eyeliner very difficult to accurately apply. Rubbing your eyes can also damage your lashes, so you can’t remove any makeup with cotton pads or oil-based wipes either. If you must wear eye makeup, take it off with an oil-free pad and gentle downward swipe to preserve the integrity of your eyelash extensions. It was noted above that eyelash extensions help you look your best with minimal fuss, but they still require some effort on your part. 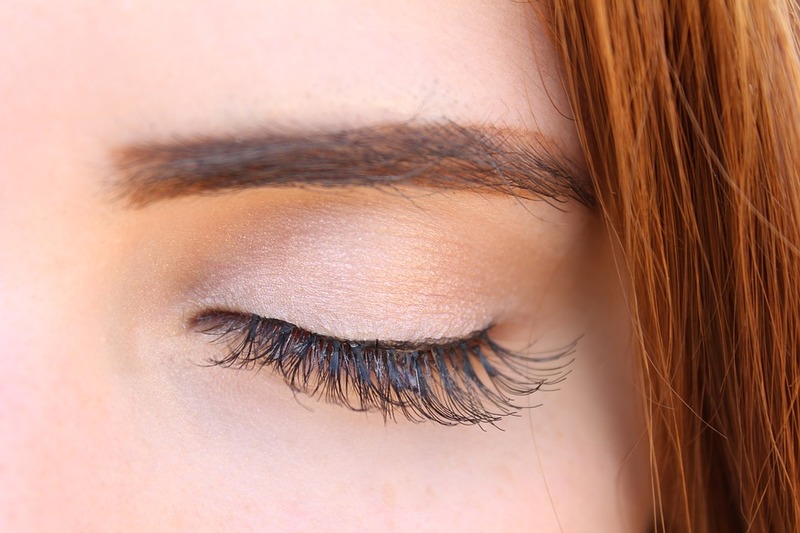 Your lashes could get tousled as you sleep or whenever they get wet, making them look messy. They can also pick up random debris throughout the day. Solving these issues requires a clean, disposable mascara brush to slide your lashes back into place gently. You can also get a more thorough clean with diluted baby shampoo if you ever find it necessary. Many people experience adverse reactions when getting eyelash extensions, as many as 26.5 percent according to one Japanese study. Some redness as you leave the salon is healthy, but if your eyes are red and itchy the next morning, you have a problem that may require medical attention. If a yellow discharge starts appearing in the corners of your eyes, you could have a bacterial infection such as conjunctivitis. To be fair, eyelash extensions are not the only cause of bacterial infections. Still, they are likely culprits considering that technicians can’t wear gloves while working on your face (the lashes stick to them). The best way to avoid these adverse reactions is to ensure that your technician washes their hands between clients, wears a mask, utilizes sanitary pillow covers, and uses disposable brushes to avoid cross-contamination. You can also limit the risk of an allergic reaction by using only lashes manufactured in the United States. Other countries allow formaldehyde to be used in the glue, a chemical you don’t want anywhere near your face. Look for a glue made with butyl cyanoacrylate or octylcyanoacrylate, as these compounds are flexible once dry, odorless, and damage your eyes less should they end up inside them. These tips are not foolproof, meaning that you could experience an adverse reaction even following them. There is also a chance of conjunctival erosion, or damage to your eyeball’s protective membrane, from the eyelid-fixing tape used in the application process. The American Academy Of Ophthalmology advises against any kind of eyelash extensions for these reasons. It can be challenging to diagnose exactly what went awry if adverse reactions persist, so you should remove the extensions immediately if you have a problem. Once you’re accustomed to gigantic eyelashes, you are likely to never be satisfied with your natural lashes again. Your natural lashes aren’t actually shorter; they’ll just look that way to you. No research has ever been done regarding the long-term health impact of frequent eyelash extensions, and preliminary studies suggest that your natural lashes may be more likely to fall out due to the weight of your extensions. Yikes! With all of these issues, it seems insane that anybody would want eyelash extensions, but people swear by them! Once you start, there’s no going back. Considering Eyelash Extensions? Read This First. Eyebrow Microblading: Is It Right For You?